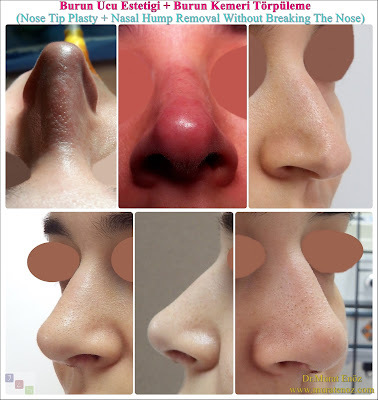 Nasal tip shrinkage or nose tip refinement are now among the treatments we often do without tampons and without bandages. Although the photo above is not as easy as animation, Within a few weeks, patients with thin nasal skin begin to notice the naturalness and beautiful appearance at the tip of the nose. 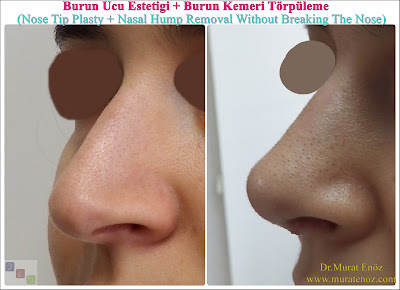 Nasal tip volume reduction procedures can be done with open technique or closed technique. 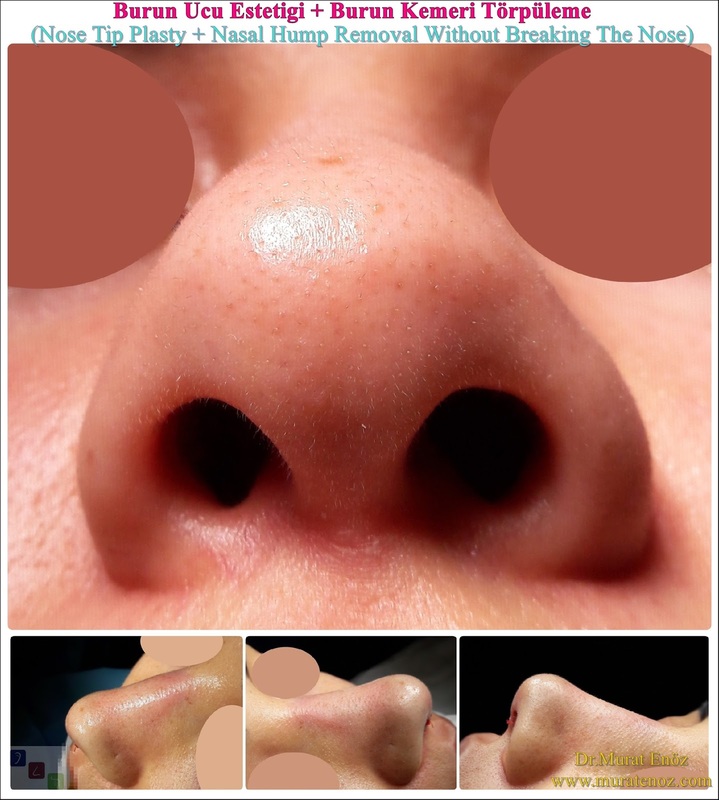 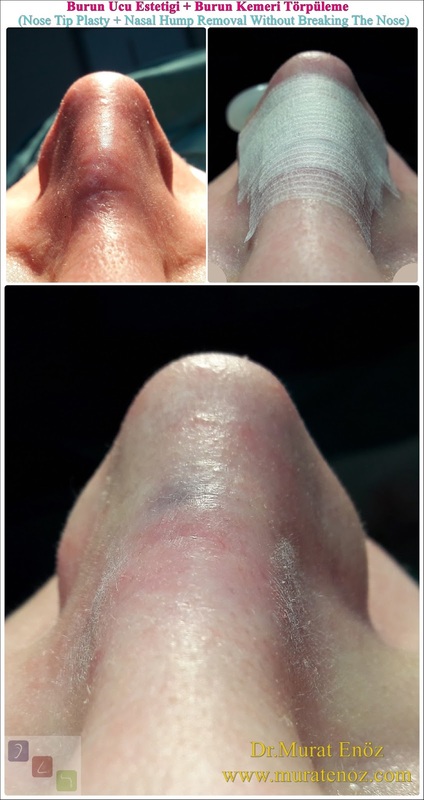 During this process, which is also done as part of the classical nasal functional procedures such as septum deviation surgery or turbinate radiofrequency can be performed. 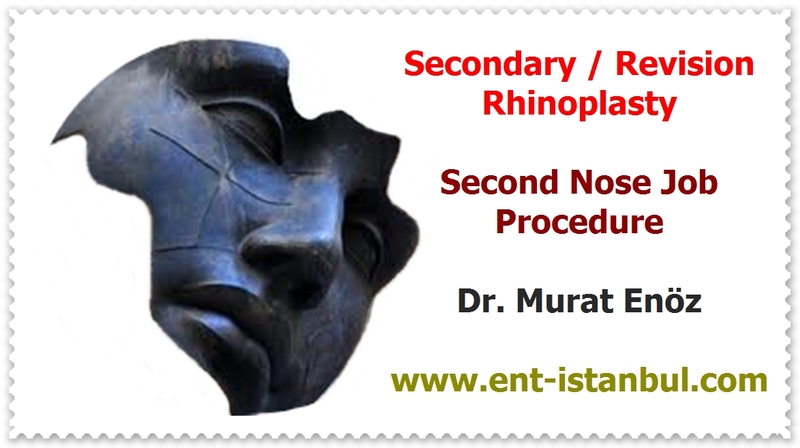 I do not prefer medical nasal aesthetic applications which are temporary and have various risks. 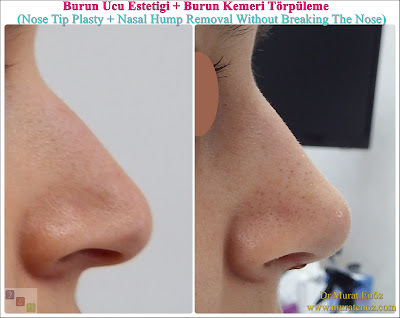 Already, as is evident from the words "nasal tip shrink", the nasal volume is being tried to be reduced. If you see a phrase like "nasal tip reduction without surgery" I can say that it is not realistic already. 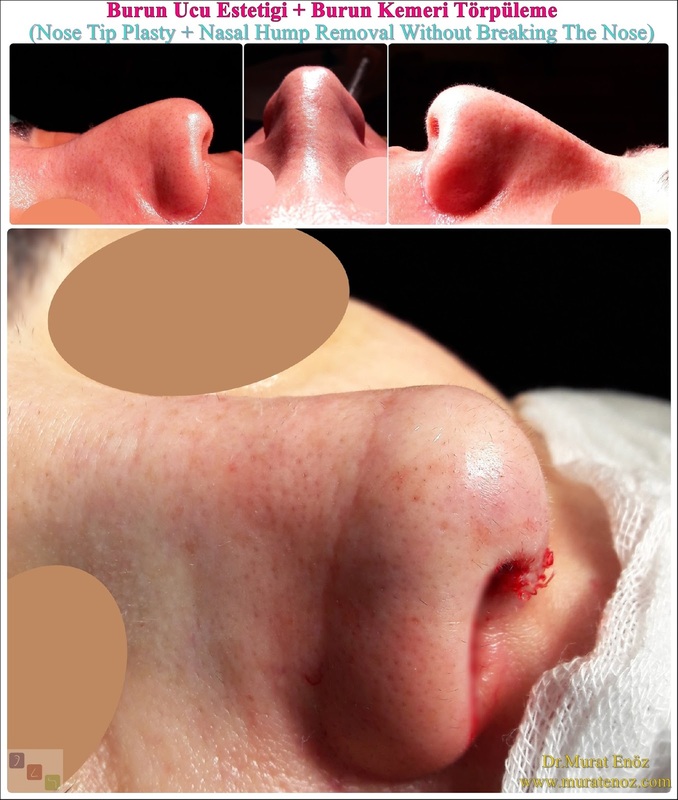 Occasionally, excessive thickening of the nose or skin diseases can occur. 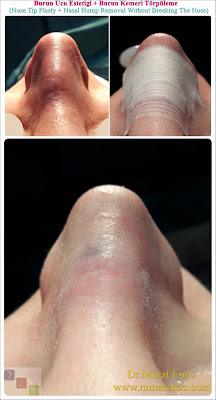 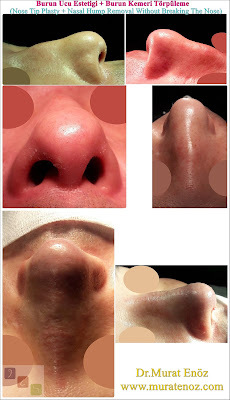 In these cases, the nose may become narrower in laser applications or for skin thickness. 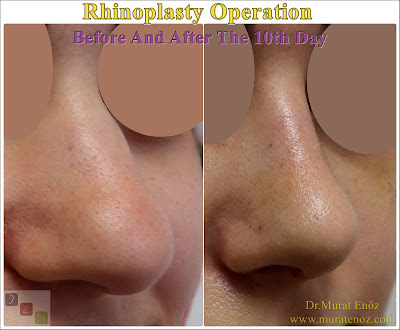 As a result, even if the "no operation" statement is added, shrinkage is not possible after the operation. 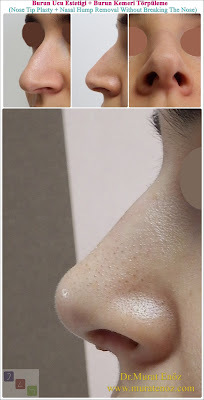 In the same way, the expression "laser effect" is also unrealistic and possibly added to advertisements or attention-grabbing expressions. 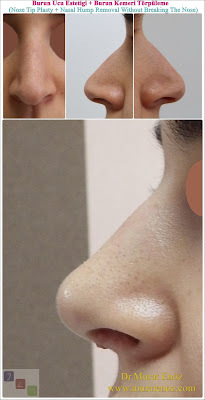 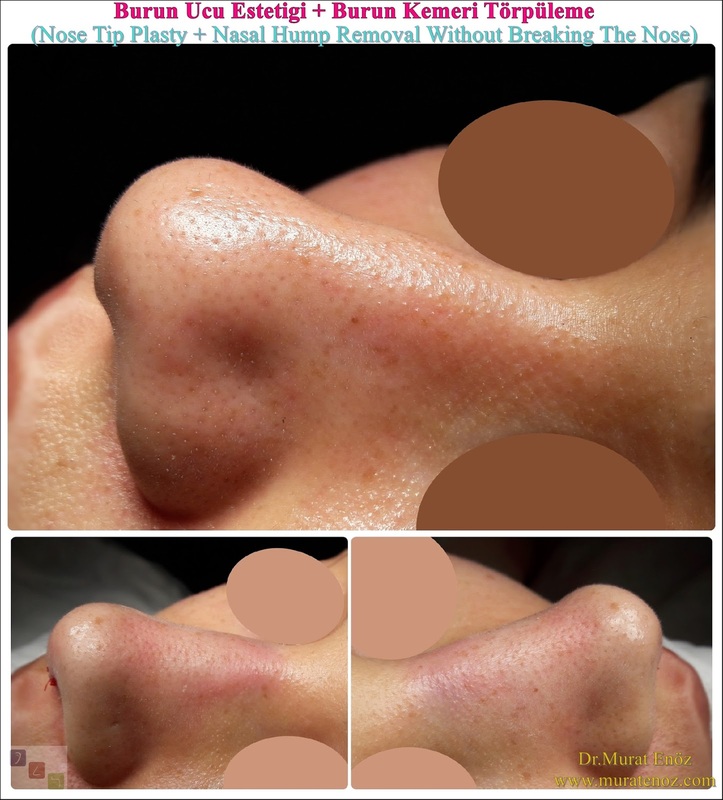 It can be accepted that, laser resurfacing method can reduce the thickness of skin on the tip of nose as limited. 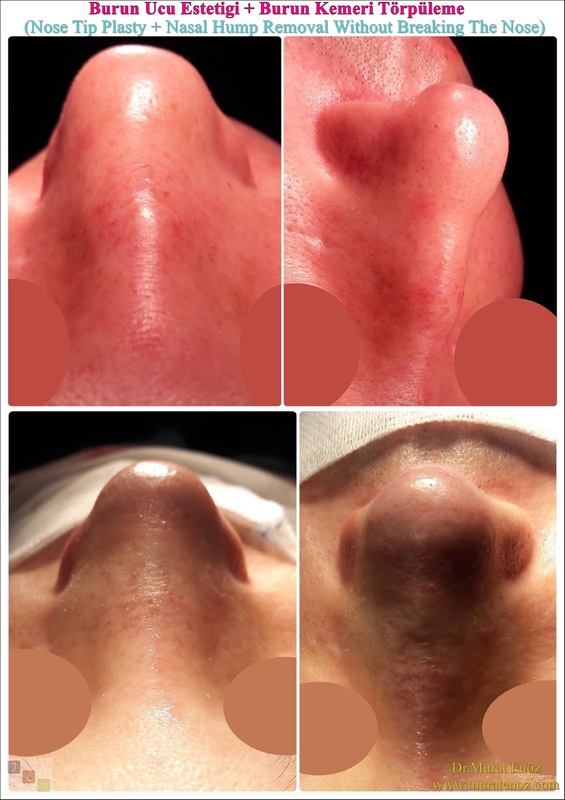 It is unlikely that all of the special cartilage, subcutaneous tissue, and skin-forming structures forming the tip of the nose, can all be shaped by laser beams at once.